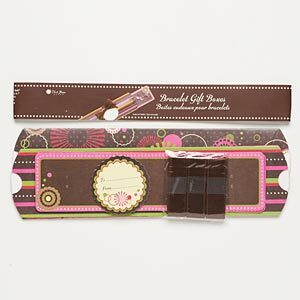 Gift box, Blue Moon Beads®, bracelet, brown and pink. Sold per set. Item Number: H20-C4640CL Have a question about this item? 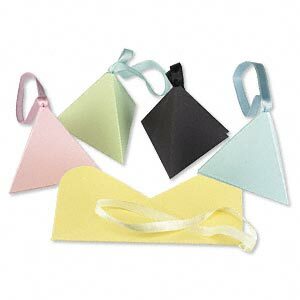 Pouch, paper, assorted colors, 2-1/2 x 2-1/2 x 2-1/2 inch pop-up pyramid box. Sold per pkg of 10. 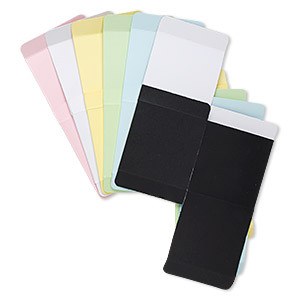 Gift box, paper, assorted colors, 3x3 inch square. Sold per pkg of 6. 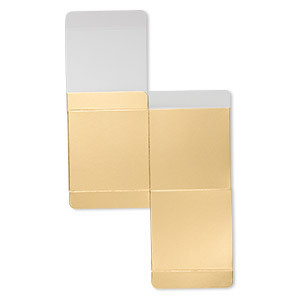 Gift box, paper, shiny gold, 3x3 inch square. Sold per pkg of 3. 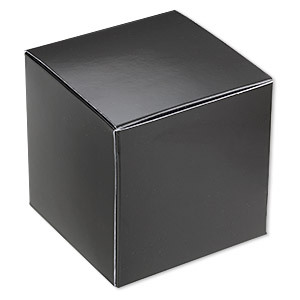 Gift box, paper, shiny black, 3x3-inch square. Sold per pkg of 4. 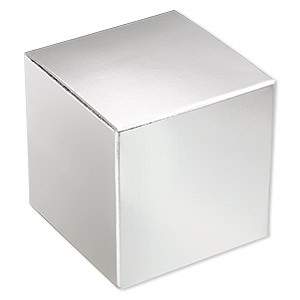 Gift box, paper, shiny silver, 3x3 inch square. Sold per pkg of 3. 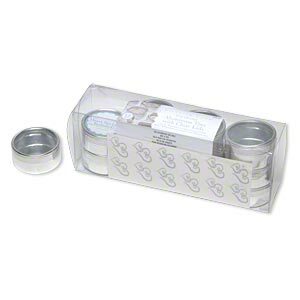 Box, Victoria Lynn, plastic and silver-finished aluminum, 2x1 inch round with lid. Sold per pkg of 12. 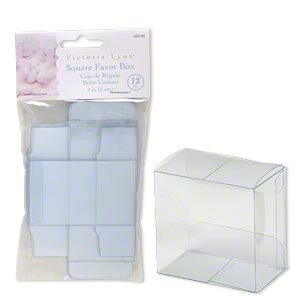 Favor box, Victoria Lynn, plastic, clear, 2 x 2 x 1-1/4 inch square. Sold per pkg of 12. 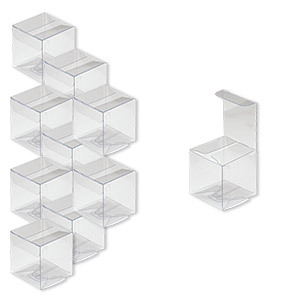 Box, plastic, clear, 2 x 2 x 2-inch square with peel-off protective film. Sold per pkg of 10. 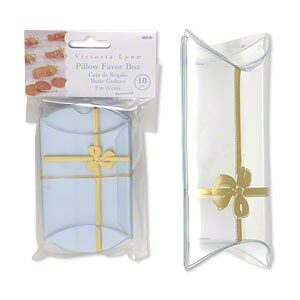 Favor box, Victoria Lynn, plastic, clear and gold, 3-1/2 x 2-1/2 x 1 inch assembled pillow with bow. Sold per pkg of 10. 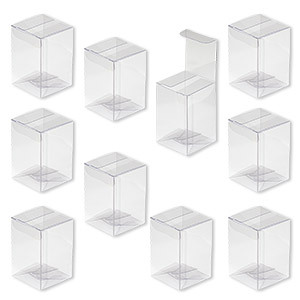 Box, plastic, clear, 2 x 2 x 3-inch rectangle with peel-off protective film. Sold per pkg of 10.